How to Transfer Provident Fund Amount to Another PF Account online at members.epfoservices.in, Transfer PF Amount to New Provident Fund Account – Easily. In the growing business world and the expanding count of the employees in this society and moreover mainly in the private sector, it is always essential for the employees to shift from one job to another job, the shifting may be for various reasons like promotions, good pay, good facilities and many more other reasons. Once a employee change from one job to another, they need to transfer their employee provident fund also. It is always be beneficial for the employees to close their old PF account and open a new account. Earlier the shift of PF account from old one to new one is little messy as it includes submission of certain documents and other paper work related things. The days have changed and now the process has become so easy and you can open your new PF account through online by sitting at your own home. The process can be online through members.epfoservices.in in an effective manner and with efforts. 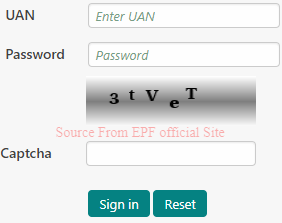 The first thing one has to do is to open the EPFO official website and you need to create your Universally Accepted Number (UAN) based login id. Then you will be directed to a page where the people need to provide their registered phone number, UAN and account number and other information like the employers state, establishment number etc. The next step involves checking whether the present employee is eligible for PF funds transfer on the EPFO website. You will be needed to fill in the employer state in the column, here you need to use search by name or establishment number from the drop-down menu. Once you finish off with filling in all the details you can click on “Click Eligibility”. This step helps you to know whether you are eligible for PF fund transfer or not. If you are eligible, then you can register on the EPFO website. The step involves filling up of your details like pan card number, licence or some other Aadhar card number. Then you will get a unique PIN code to your registered mobile number and you need to verify it. Type the pin that you have received in the column and click ok to continue to next step. Once you click to continue you will be leading to EPFO Member Claims Portal page where you need to login with your document id and mobile number. Once you login you will be able to see all the options available in the EPFO website. First part : In the first part all you need to provide is personal information like your name, email, IFSC, salary account number etc..
Second part : The second part is to be filled with information regarding your old PF account. Third part : In the third part you need to provide the information about your present PF account details. Here comes the play of the present or the previous employer for attestation of your form. Once you fill the form then you can click on preview to check whether the information is correct or not. Once the website checks that the information provided is true then you you need to enter CAPTCHA and then you will get a PIN. Click on the submit option after entering your pin. Once you finish up entering your pin then your PF Fund transfer will be initiated.